Ooh baby…I could write a couple of paragraphs about my fascination with football this past season. How I had the third best win-loss record in my fantasy football league. How I learned much more about the game, the importance of running backs and the secondary line. How professional football differs from college. About the super cool convo I had with Steve Raible, who likes to call me Vicky – which will make my friend SuLee happy – about the Hawks. And how stoked I am for the Super Bowl. But I won’t. What I will do is tell you that the game is going to be AWESOME! 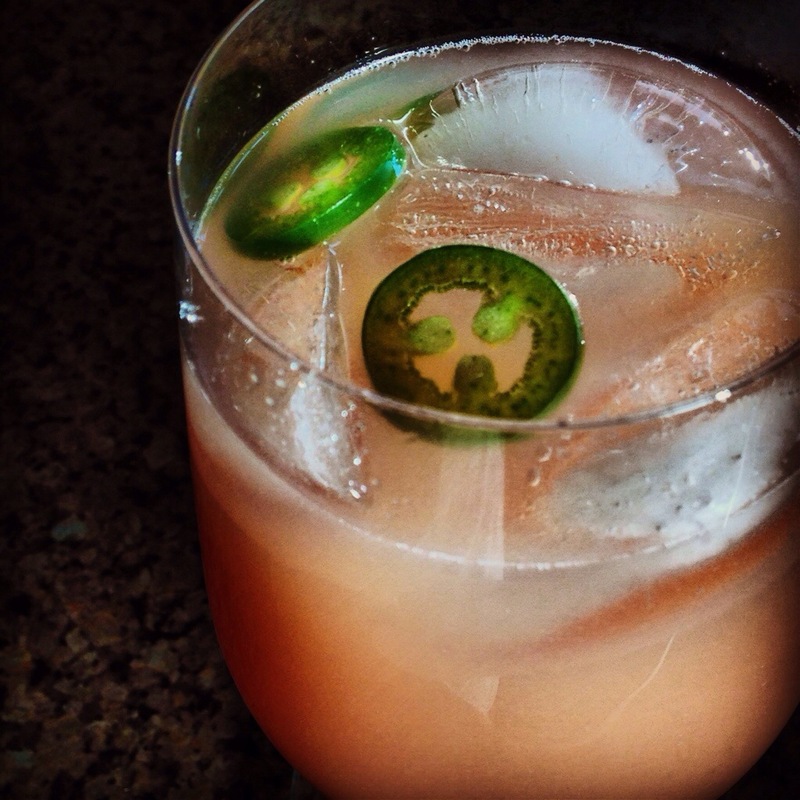 And I will give you this cocktail for all of you who are making nachos, chili, or anything else spicy this Sunday. It’s a refreshing drink, super easy to make, can be made in bulk in advance if you so wish and has a tiny little kick that will go well with all your other hot hot hot nosh. Pour the tequila and guava juice into a rocks glass. Add some a couple of ice cubes and fill remainder of glass with ginger beer. Add jalapeños and stir. If you would like the drink a little sweeter increase the guava and reduce the ginger beer. Enjoy!